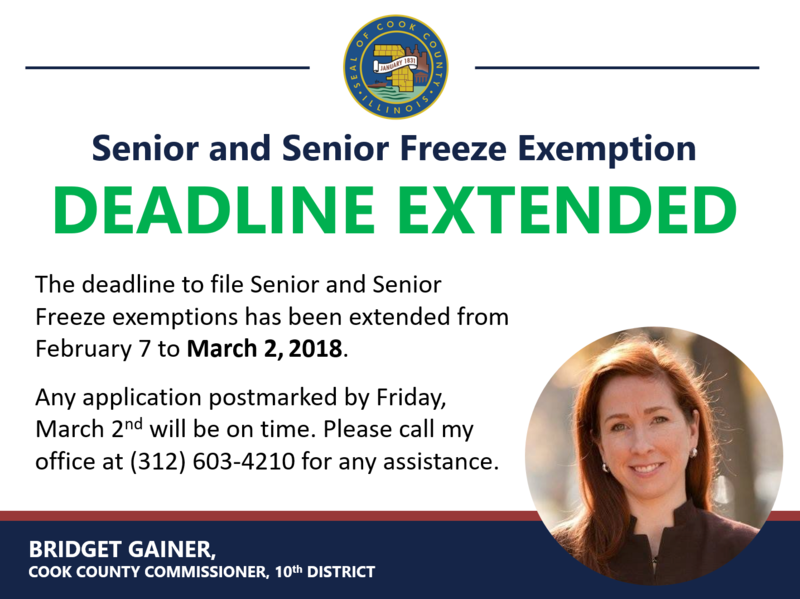 Cook County Assessor Joseph Berrios’ Office has mailed Senior and Senior Freeze Exemption renewal applications for Tax Year 2017. Legislation crafted by Berrios will result in additional savings for these exemptions that will appear as deductions on Second Installment Property Tax Bills mailed this coming summer. Nearly 300,000 applications were mailed to seniors who received the exemptions last year. The application deadline is Wednesday, February 7th and state law requires annual renewal in order to continue to receive exemption savings.